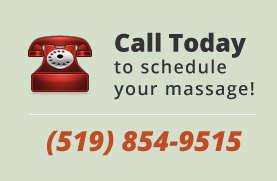 Call 519-681-7314 to book your massage today! 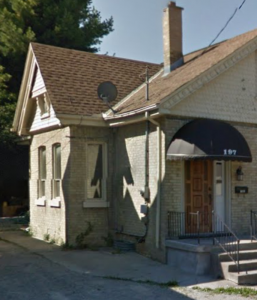 Our second location opened in October of 2016 on John Street in London, ON. Our experienced family of Registered Massage Therapists provide a high-quality, therapeutic, registered massage therapy experience. With massage therapy being covered by many people’s extended health care benefits, it is now easier than ever to experience the positive effects of therapeutic massage. At Jenna Birtch Registered Massage Therapy Clinics we give our 100% to provide you with all the best a RMT clinic can offer you. We understand that your time and money are too precious to waste on generic, non-specific methods of treatment. This is why our massage therapists take the time to listen to you, your health concerns and what you want to achieve from your Massage Therapy Treatments. With this information, we develop and perform a treatment that was designed specifically for you. We also provide you with health education and simple home exercise programs so you understand how your health concerns started as well as how to prevent them from coming back. Eventually our goal is that you come back to see us because you want to, not because you need to. All of our Registered Massage Therapists have been highly trained in the assessment and treatment of muscular, joint, neurological, and stress related pain and discomfort. We only hire RMT’s with talent, experience, and a willingness to continue to learn. This way, no matter who your therapist is, the hands helping you along your journey to health will provide you with high quality massage therapy treatments, and years of knowledge. If you have any questions on how our Registered Massage Therapists can help you, or about Jenna Birtch Registered Massage Therapy Clinics, call or email us for a Completely Free, No Obligations Consultation. We will try and help you the best we can. Why Book a Relaxation Massage? We accept Cash, Debit, Visa & MasterCard and we can direct bill to many insurance plans.